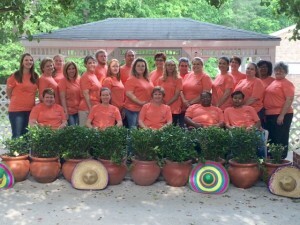 Our staff is the most important asset of our facility. Many of our senior team leaders have been employed in this facility, and in long term care, for several years giving us a staff that is dedicated to their profession and their patients. Most of our department heads were promoted into their current position, some have obtained employee scholarships to allow them the opportunity to further their education and the ability to obtain that promotion. Training is an on going part of our commitment to excellence. We never stop learning whether it be new methods for obtaining better patient outcomes or superior ways to serve our staff and community. 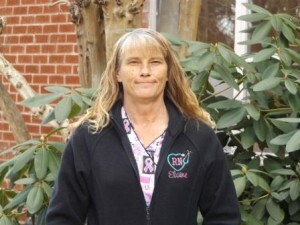 Elaine Overton began working with us as an LPN in 2009. She has worked her way through school complete her RN degree. Elaine is currently our treatment nurse and received a scholarship from our company in 2015 to become a wound certified nurse. Raven Sanford, RN, came on board our staff in 2006 as a Social Worker. Through our educational scholarship program she obtained grants in 2007, 2008, 2009. Receiving her CNA I license in 2008, CNA II and med aide certifications in 2009 and ultimately graduated with her RN in 2010. Upon receiving her degree, Raven started as a floor nurse and was promoted to MDS nurse the next year. Raven worked full time in our facility–literally working her way through school. Kristen Vick, RN, started as a part time CNA at Kerr Lake Nursing and Rehabilitation in 2004 while finishing her LPN program. After passing her boards, she began working full time as an LPN. Not satisfied with an LPN, Kristen immediately began working toward her RN. 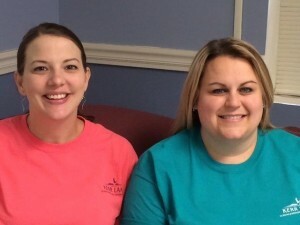 She received a scholarship from the facility and completed the RN program in 2010. She worked as a floor nurse for approximately two years until being promoted to Assistant Director of Nursing (ADON) in 2012.